This Pulitzer Prize-winning second volume of the UCLA historian's opus on Nazi Germany and the Jews explores the social world of the Third Reich and its institutions' failure to defend the Jews, drawing on a trove of primary documents, including diaries, letters, and memoirs. [This book] now establishes itself as the standard historical work on Nazi Germany’s mass murder of Europe’s Jews ... Friedländer seems to have read virtually every printed source and secondary work on his vast subject in English, German and French. His judgments are scrupulous and levelheaded. And he treats the historical controversies that have raged around so many of the topics he covers with untiring fair-mindedness. He writes without a trace of polemic or of facile retrospective moralizing. 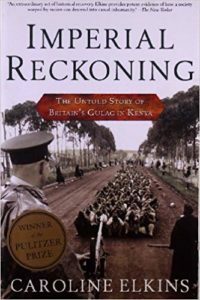 The book meticulously satisfies every requirement of professional historical writing ... What raises The Years of Extermination to the level of literature, however, is the skilled interweaving of individual testimony with the broader depiction of events. Friedländer never lets the reader forget the human and personal meanings of the historical processes he is describing ... The result is an account of unparalleled vividness and power that reads like a novel ... Friedländer succeeds in binding together the many different strands of his story with a sure touch. He has written a masterpiece that will endure. Friedlander is a world authority on the Holocaust ... His intellectual discipline may be that of the historian but his writing is animated by the passion of memory that only his generation can fully express ... Friedlander's real purpose lies in laying bare not the administrative machinery of genocide, but the failure of nerve at every level to confront it ... The bleakness of this book comes above all from its portrait of the collective timidity of so many, with whom it is uncomfortably possible to identify. They may have been distressed at what they saw but, in the face of the state's brutality and the success of its propaganda machine on popular opinion, they feared first for themselves ... Friedlander is on occasion too dismissive of the many small, often ineffective, individual acts of solidarity and courageous defiance he records. They remain the only redemptive moments in his narrative ... this massive work constructs a towering moral challenge to all our assumptions about the resilience of humane instincts in the face of fear and unimaginable cruelty. It leaves one cold for hours afterwards. This volume ... will cement [Friedländer's] reputation as one of the most influential and perceptive historians of the Shoah writing today ... Friedländer brings to life the words of the victims through their letters and diaries. He uses this resource probably more extensively and effectively than any other scholar, helping him write a history with a novelist’s sense of the human aspects of the tragedy. Keenly aware that the role of historical knowledge is to smooth away disbelief, to make history seem ordinary, Friedländer provides a remarkable study of the Shoah without eliminating or domesticating the enduring sense of shock or disbelief that must confront any reader. What did you think of The Years of Extermination: Nazi Germany and the Jews, 1939-1945?